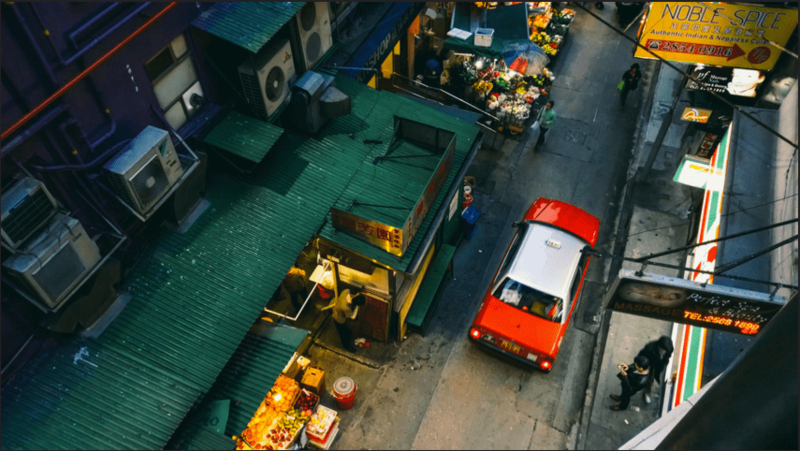 With Chinese New Year just around the corner, it’s the perfect time to shop for new apparels and there’s no better way to do so than to use these attractive fashion deals that we’ve listed out for you! 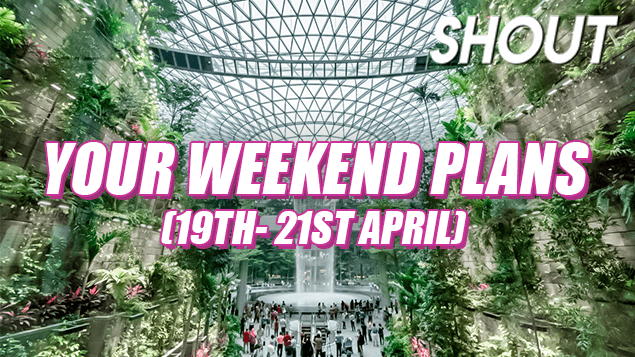 But, retail therapy isn’t all – we found lots of delectable food and drinks at crazily discounted prices too! 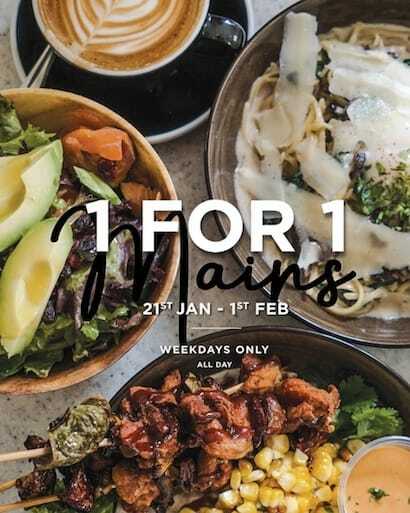 For your next dinner date, treat yourself and your partner to Boufe Boutique Cafe’s scrumptious mains like pasta, burgers, and even savoury croissants with their 1-for-1 offer from now till 1st Feb! Available all day, some of the popular dishes include Smoked Salmon Croissant ($17), Truffle Mushroom Pasta ($14) and the Special Duck Confit ($18). 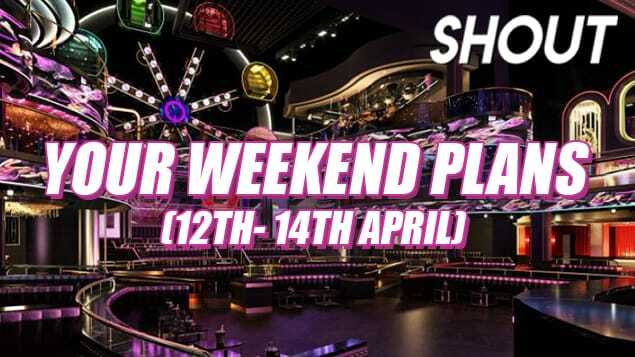 Simply make your reservation here before heading down on weekdays. 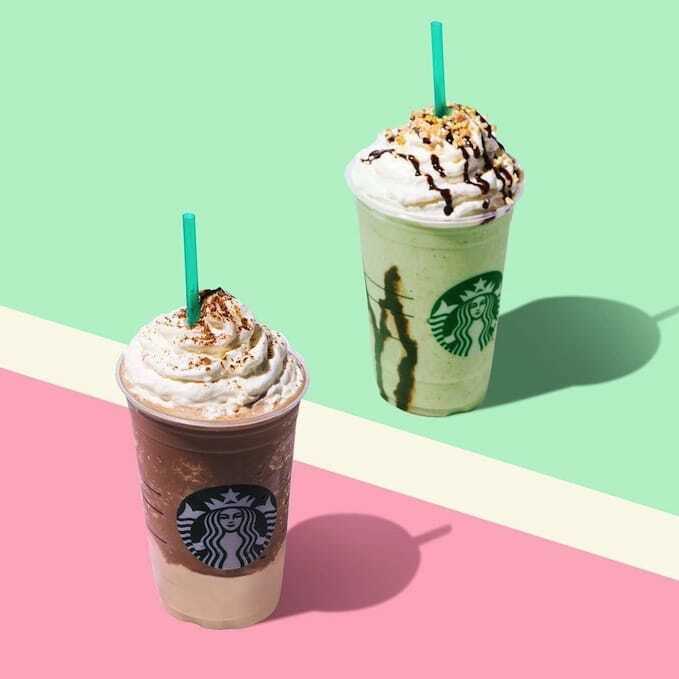 From now till 31st Jan, don’t miss your last few days to indulge in any Venti-sized handcrafted beverage from Starbucks with this amazing 1-for-1 offer! 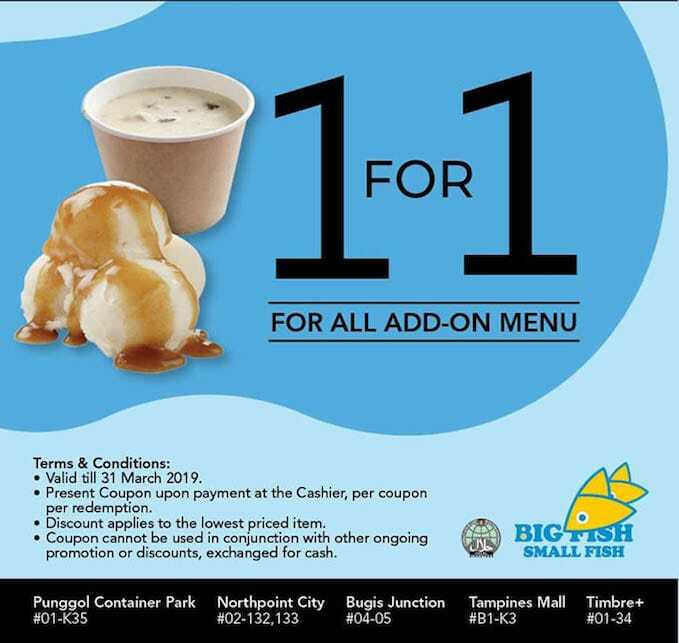 Valid only from 3PM to 7PM, it’s the perfect chance for you and your buddy to treat yourselves right after work ‘cause all that hard work has to be rewarded, right? Do take note that the lower-priced drink will be complimentary. Locate your nearest Starbucks outlet here. 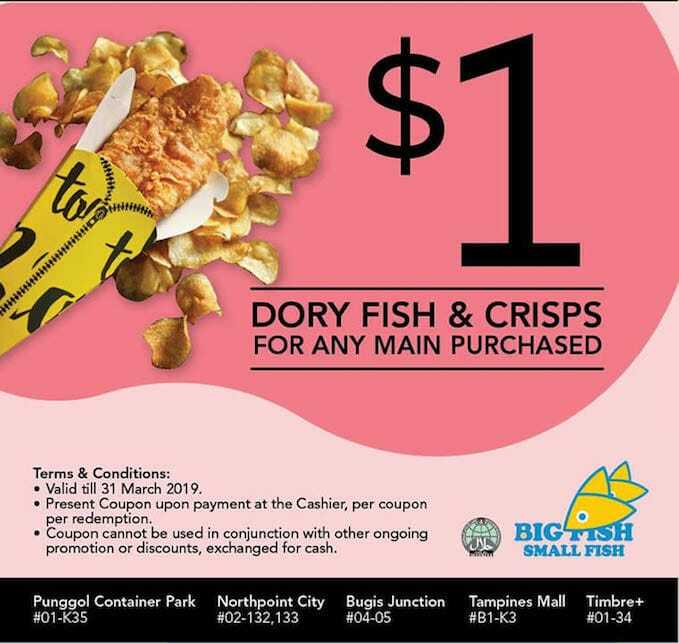 If you haven’t tried Big Fish Small Fish’s crispy fresh fish and chips served in a cone, now’s the time for you to tuck into their dishes that come in various offers – $1 Dory Fish & Crisps for any main purchased, 50% off 2nd main and 1-for-1 sides! 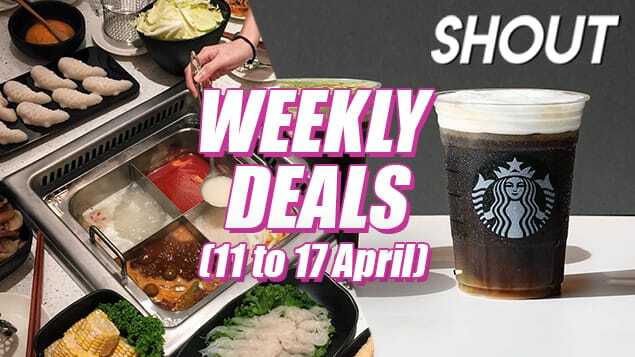 All you have to do is to flash the coupons below upon ordering from now till 31st March, but take note that only one coupon can be used per redemption. 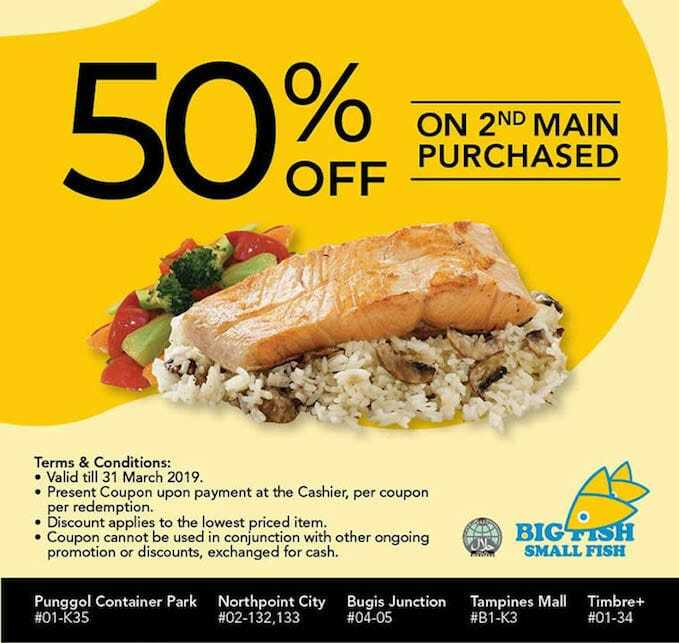 Locate your nearest Big Fish Small Fish outlet here. 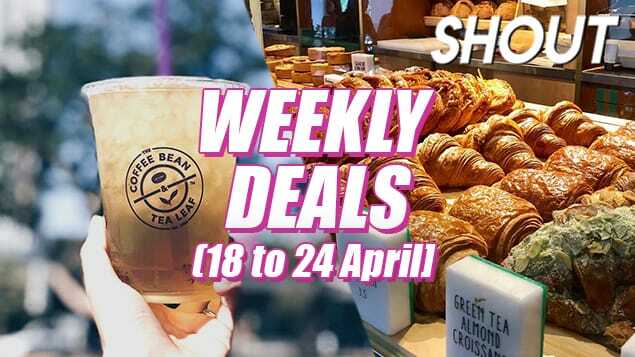 If your love for bubble tea is leaving a hole in your wallet, you can now save up and still satisfy your bubble tea cravings with TaiGai’s 2-for-$5 offer from now till 14th Feb! 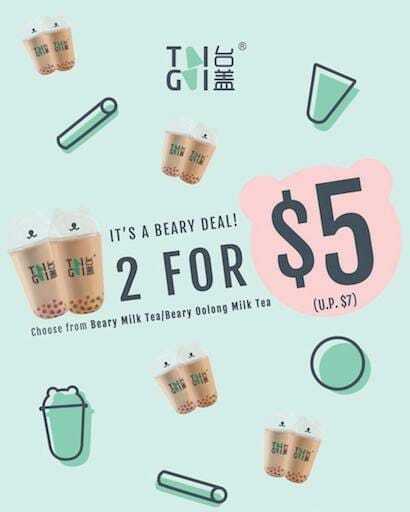 Take your pick from Beary Milk Tea or Beary Oolong Milk Tea and enjoy 2 cups at just $5 (U.P. $7). 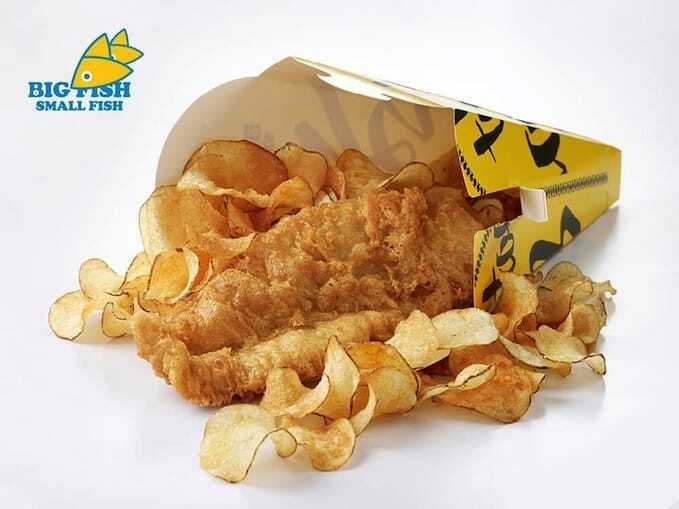 Simply flash the picture above when you’re placing an order. 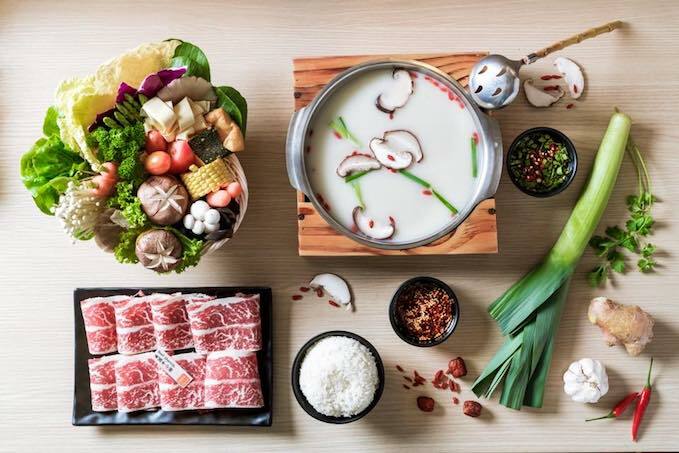 City Hot Pot Shabu Shabu is somewhere you should definitely consider for your upcoming reunion dinner thanks to their 1-for-1 offer on various tantalising Shabu Shabu Sets till 31st March! With every purchase of a Wagyu Ribeye Set ($49++), you can either redeem a Signature Wagyu Beef Set, Pork Collar Set or a Chicken Breast Set. 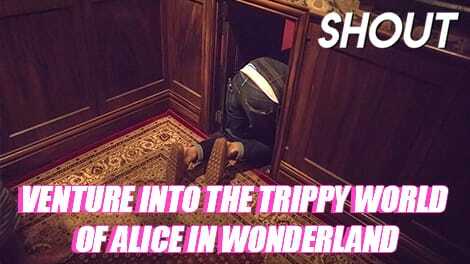 Just place a reservation here in advance. 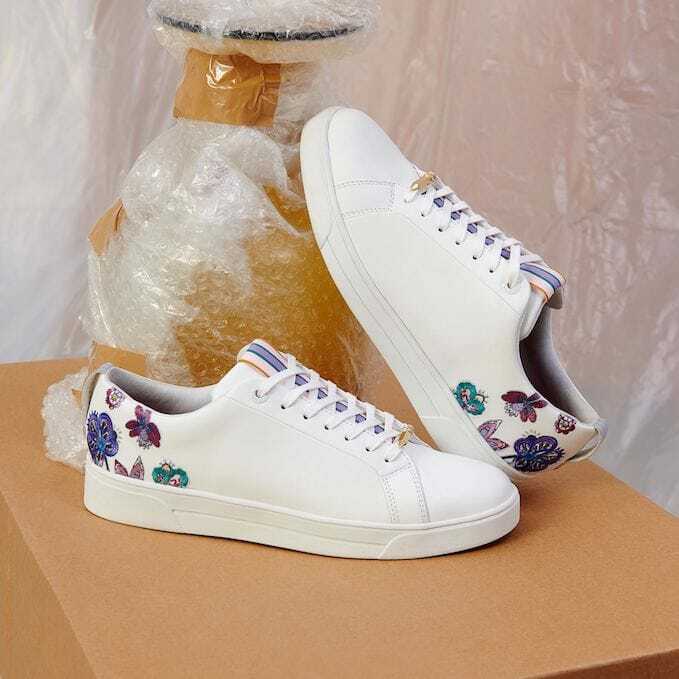 Elevate your style for Chinese New Year with Ted Baker’s beautiful range of footwear from dainty high-heeled shoes and sleek boots to even chic sneakers! There’s currently a sale of up to 50% off ongoing online and in-store for a limited time period, so go ahead, lay your hands on some pretty-looking footwear before it’s too late. Locate your nearest Ted Baker store here or shop online here. Grab some affordable apparels from Cotton On’s CNY Sale 2019 that includes pretty dresses, shoes, makeup, handbags and more! Plus, there are various online exclusives that change daily – for example, 28th Jan features all dresses for just $18 each. You’ll never know what surprise you may be greeted with the next day, so make sure to constantly check in! 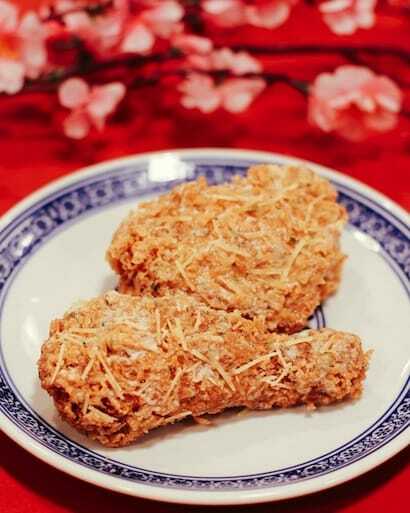 DBS and POSB card holders, sink your teeth into KFC’s new Parmesan Truffle Chicken – tender chicken pieces marinated in their signature Hot & Spicy seasoning, drizzled with truffle-infused cheese and topped with even more parmesan cheese! From now till 19th February, you get to indulge in 3 Parmesan Truffle Chicken pieces for just $8 (U.P $10.80) when you pay using any DBS/POSB cards. Locate your nearest KFC outlet here. Disney On Ice Is Back In SG With New Characters From Moana & Inside Out!